3 Commercial Real Estate & Properties in Berri are listed in 2 categories. We have 2 OfficesSale and 1 Industrial Warehouses Sale . Get Motivated To Be Relocated! Expressions Of Interest b..
With a total land area of 4507m2, and in a prominent position with forever passing traffic, this property has established workshop shedding, offices, kitchen and toilet. The current investment has had a return of $26,400 per annum and the property was certainly the foundation for what is now a very successful business. This business has now proudly relocated to its own brand new premise and continues to thrive. Vacant possession can now be granted for this property to the new owner who can make the choice to either open a business, relocate their current one or buy as an investment to allow a tenant to operate theirs. 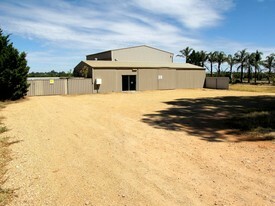 Gravel driveway and abundant parking area exists with the main building areas fully fenced. This commercial property fronts both Fuller Road and the Old Sturt Highway and is approximately 2.5 kilometres west of the Berri CBD. A commercial premise that exudes potential and awaits its next chapter of ownership. Situated in the heart of the Berri CBD and with excellent street exposure, these two modern business units present an awesome commercial investment opportunity for the single investor or a group. Units 1 and 3 comprise approximately 46% of the total address with monthly strata fees providing support services to the buildings shared facilities. Unit 1 is currently tenanted to Service SA on a 5 + 5 year right of renewal basis, and the neighbouring Unit 2 is occupied by Housing SA but is not part of this package. However with both downstairs units currently occupied and providing essential Government functions to the Riverland, the daily exposure to the areas residents makes the available vacant upstairs unit 3 a sound business location. This spacious upstairs unit is currently configured with a separate reception, two large training / conference rooms, three generous individual offices and a storage / server room at the rear of the floorplan. Ducted air conditioning provides climate control and the office windows feature roller shutters for extra shade and security and overlook the picturesque gardens of Berri. Also on offer is access to the secure underground parking garage with an automatic roller door and entry from the main street. Customer parking is plentiful with local council maintained angled parking zones directly out the front of the main building. With a potential 9% or $60,000 annual return this package certainly has plenty to offer, especially given the low returns currently available from our regular financial institutions. So if you have been looking for an awesome commercial investment then make this package your first priority! bull; Modern Brick Veneer Professional Offices bull; Main arterial road with great through traffic exposure bull; Heaps of angled parking with dedicated disabled space bull; 7 enclosed offices, board room, utility room, lunch room, kitchen bathroom/toilet bull; Easy access ramps front and rear bull; Approximately 235 Square metres, Land 1119 square metres bull; Garage storage shed approximately 38 square metres bull; Lockable storage shed + Stacks of rear lane car parking for 7 cars undercover bull; Long term tenants with 3 year Right Of Renewal bull; Excellent rate of return approx 9.25% p.a.